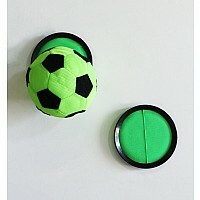 The first soccer goal targets for indoors. Simple and space-saving in use. Incl. 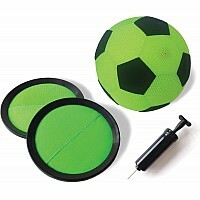 two targets, 2 extra pads, ball and pump. 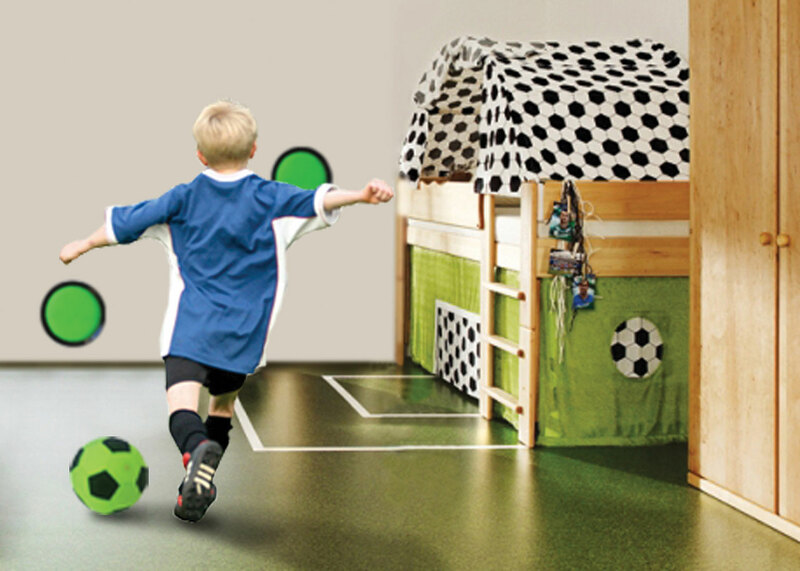 The soccer goal targets are a bestseller for outdoors. 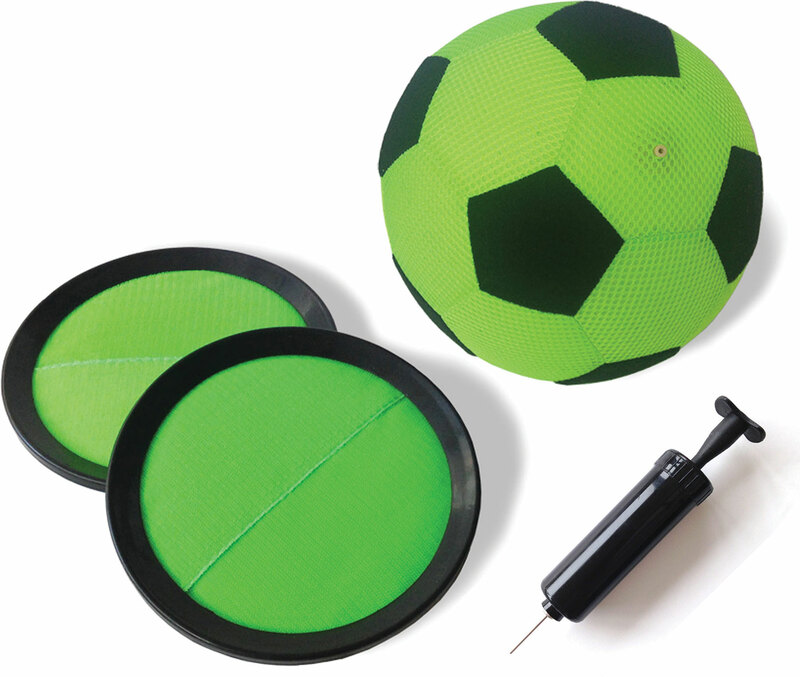 We re-invented the game by replacing the holes by self-sticking target plates covered with Velcro. Inside the target plates there is a rebound system offering perfect adhesion when hit by the ball. The player shoots onto the targets with special balls covered with Velcro and mesh-material sticking to the plates when hit. 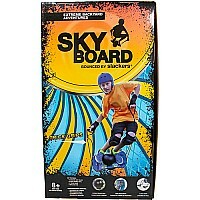 The ball is light-weight and durable. Awarded with "Movement and Innovation 2017"
Measures approximately: 8.25 x 2.95 x 8.25 inches..